LaborBerlin members Gustavo Jahn and Melissa Dullius, also known as Distruktur, will be showing two films for the first time in Berlin. 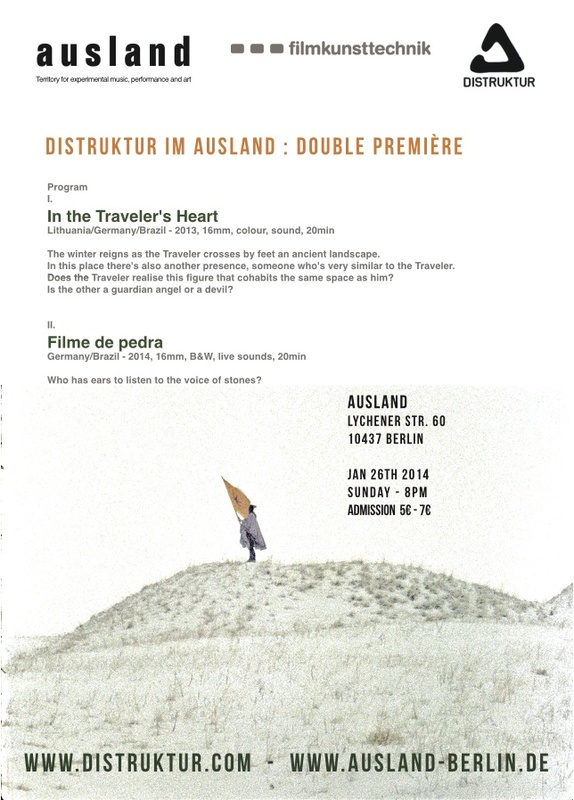 The double premiere will happen in Ausland on January 26th at 8 pm . In the traveler´s heart, was shot last winter in Lithuania, during an artist residency at the Nida Art Colony. The film was commissioned by the Contemporary Art Centre, Vilnius with support of Goethe Institut Vilnius and took part at the group exhibition Ritual Room in April 2013. 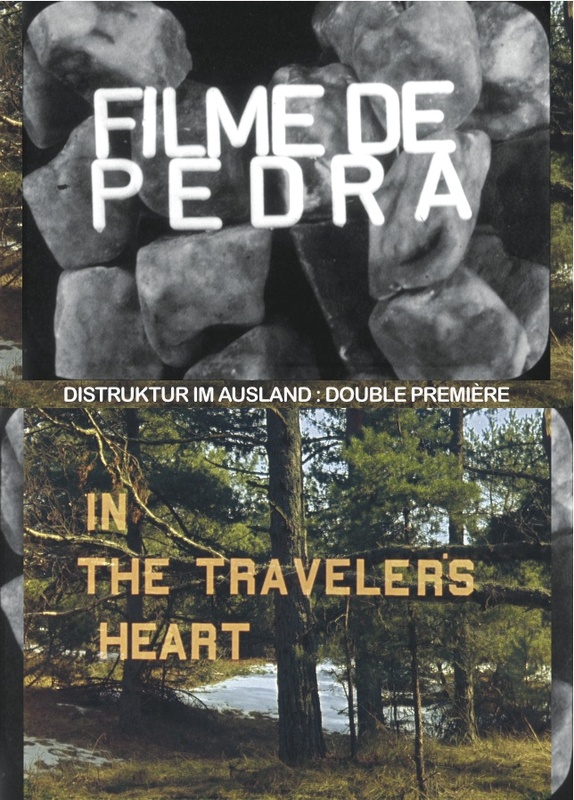 In the traveler´s heart received recently an Honourable Mention of the Jury at Festival de Cinema de Santa Maria da Feira in Portugal and was screened at the Onde section of the Torino Film Festival in Italy. The second half of the program is the presentation of the mineral odissey Filme de Pedra. The film was shot in and around Berlin and in Florianópolis – Brazil, featuring stones from all over the world. Although some excerpts of Filme de Pedra have been exhibited in Berlin and São Paulo, what expects you on sunday is beyond preview and synopsis. Filme de Pedra was entirely processed and copied by hand in LaborBerlin e.V. During the projection of Filme de Pedra sounds and music will be performed live.